As Utahns, we have been spoiled with a beautiful landscape and a set of diverse recreational opportunities. There’s so much to see and do in Utah that some would question the need to ever leave. 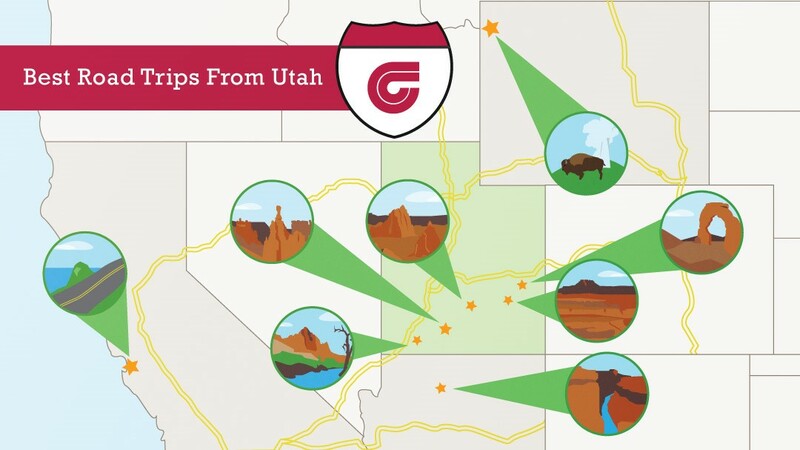 Despite all of these amazing in-state options, Utahns still hear the open road calling them from time to time. 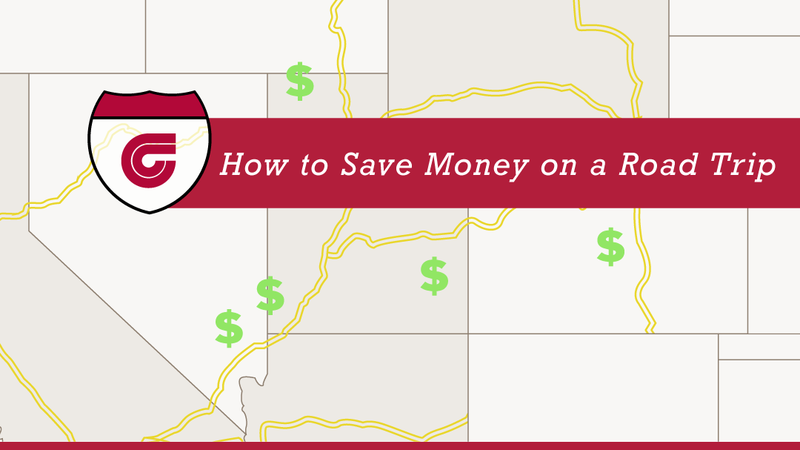 But what are the best road trips for Utah drivers? While it’s nearly impossible to enumerate all possible automotive expeditions, we’ve undertaken to itemize a couple of the very best routes originating in Utah. To make the list, each road trip had to meet certain specific criteria. First, the routes and destinations had to be reasonable for drivers with a Utah origin. Consistent with the purest of road trip standards, we required that driving play a central role in the excursion, rather than merely fulfilling a functional transportation necessity. Generally, that means multiple destinations and frequent, purposeful stops along the route—no simple Point A to Point B trips allowed, no matter how long the drive. We also required that the featured destinations have mass appeal, which eliminated many wonderful routes along historical trails and other niche attractions. Applying these standards, we finally settled on the following four road trip routes. A visit to Yellowstone National Park has all the elements of a classic road trip. First, there is no way to see the park without driving and without stopping along the way. Whether watching buffalo out a barely cracked window or snapping a photo through the sunroof, the drive through Yellowstone becomes an integral part of the journey, inseparable from the destination. The greatest strength of this classic road trip route is the way it combines classic must-see tourist traps with organic exploration and spontaneous discovery. One minute, you might watch Old Faithful erupt with a hundred other travellers, and the next you could be the only person in the world to see a bear pull a fish out of an ice-cold river. Both types of experiences are guaranteed to leave visitors in total awe at the natural beauty found at every bend of the highway. And, for Utahns looking to extend the course, the route offers multiple opportunities for layovers at other destinations along the way, including Jackson Hole, Wyoming and Grand Teton National Park. Utahns certainly don’t have to leave the state to find inspiring expressions of natural beauty. With five world-class national parks, most Utah travelers could keep themselves busy for multiple summers without ever crossing a state line. But, one of the best ways to take in those parks is to hit them all on a single, epic road trip. In fact, the Utah Office of Tourism actively encourages people to visit the “Mighty 5” on a 10-day adventure through Southern Utah. Along the way, you’ll visit the world famous Arches, Canyonlands, Capital Reef, Bryce Canyon, and Zion National Parks. In your own backyard, you’ll see the natural wonders that others can only marvel at in photographs. 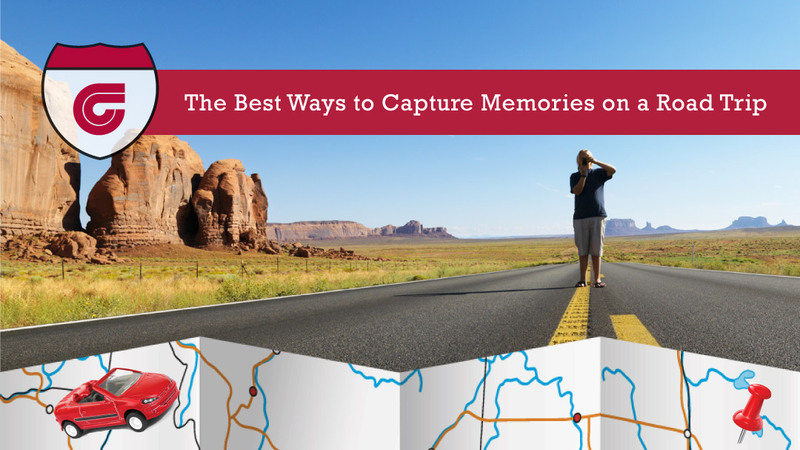 For ten straight days, your car window will feel like a picture frame, filled with breathtaking beauty as it cascades across Utah’s gorgeous landscape. And, like the classic road trips of yesteryear, this journey provides ample opportunity for car-side camping. Many Utah families have ventured southward on Interstate 15 in search of some California sunshine. On any given day, you’ll find Utahns basking on the beaches of Southern California or catching some coasters at the world’s most famous theme park. But, in their hurry to hit these popular destinations, many Utahns are missing out on one of the world’s most amazing road trips. Known as the Pacific Coast Highway, a beautiful section of California’s Route 1 parallels the West Coast from north of San Francisco to south of Los Angeles. The PCH, as the locals often call it, offers breathtaking views of our nation’s gorgeous coastline. While it provides ample opportunities for swimming and relaxing at world-class public beaches, you can also enjoy views of California’s famous Big Sur region and Redwood State Park. With all that this course has to offer, you’ll find you enjoy the driving as much as you do the final destination. Despite its proximity to Utah, many of the state’s residents have never visited the world-famous Grand Canyon. Just a state away in Arizona, this natural wonder amazes millions of visitors every year. Utahns can easily incorporate the canyon into a broader, more inclusive road trip, stopping along the way at other National Parks and attractions. Aggressive adventurers can even complete a packed 11-day agenda commonly referred to as “The Grand Circle”. Whether you decide to straddle the famous Four Corners or explore beautiful Lake Powell on the way, a road trip to the Grand Canyon will be filled with beautiful scenery and endless opportunities for worthwhile diversions and stops. 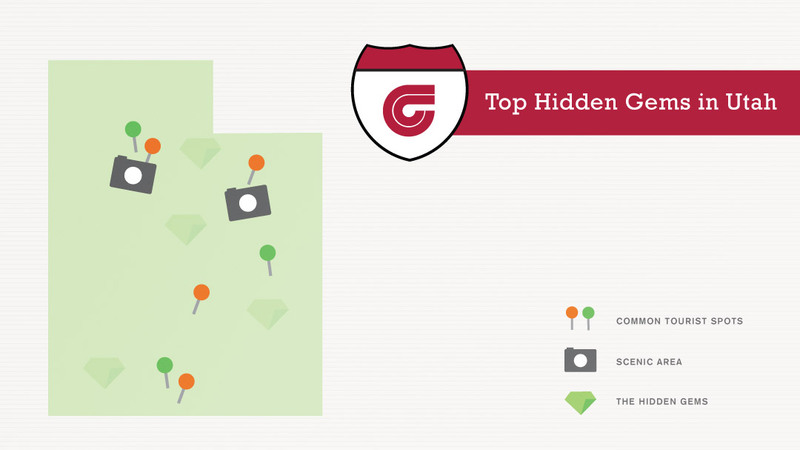 Utahns have been given more than their fair share of beautiful scenery and amazing recreation. Despite this obvious abundance, many of us still feel the itch to escape on the occasional road trip. When such opportunities arise, consider taking one of these four world-class routes and enjoying a truly classic road trip experience. Whether they keep you roaming around the state or take you beyond its borders, all of these trips will easily satisfy that urge for the open road. But if that isn’t incentive enough for a highway adventure this summer, perhaps winning a $2,000 road trip in our #GarffRoadTrip contest will do the trick. Just visit our Facebook page for your chance to win.